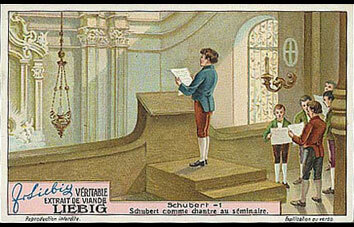 The French and Italian series on the life of Schubert are similar, except for the texts. 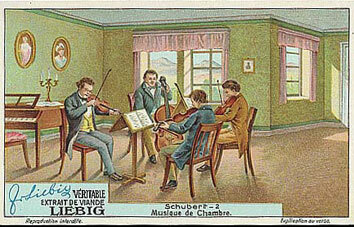 Here are 6 cards from the French series. 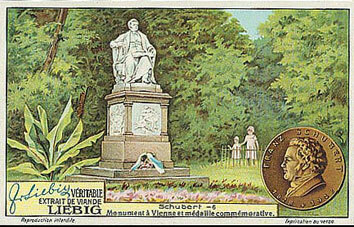 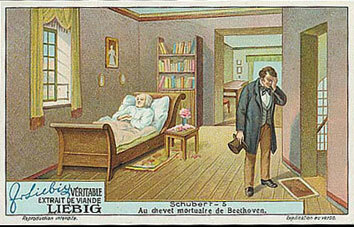 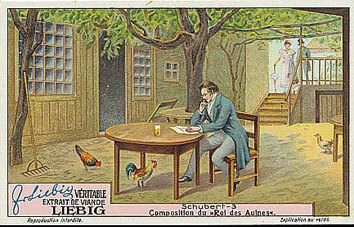 Card n°5 shows Schubert at Beethoven's deathbed, and card number n°6 shows Schubert's mausoleam. 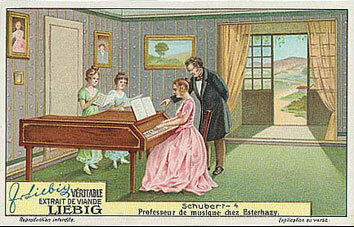 The texts on these cards make reference to Beethoven.